Struggling to get that side project done? Can’t seem to find the time to sort out those small tasks, and now they’ve become this one giant monster of a task?! 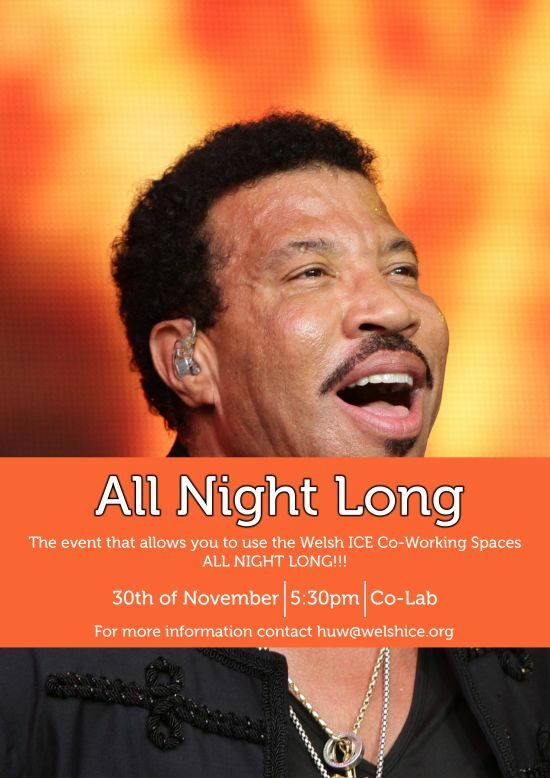 All Night Long allows you to come in and use the Welsh ICE space literally All Night Long, pulling an all nighter on your own can be lonely and sometimes ineffective, but here you can do it with friends, music and pizza! So if you have a task that keeps getting pushed aside, whether its a side project, small bits of paper work, or some personal projects come on down and work ALL NIGHT LONG!! !